It’s about bloody time. Nearly two years after it launched on the PC and PlayStation 4, No Man’s Sky is finally making its way to the Xbox One. The long-awaited port is expected to land this summer, and will include all previously-released updates, including the Foundation, Pathfinder, and Atlas Rises updates. Perhaps most excitingly, it comes enhanced with support for the Xbox One X, allowing gamers to explore the No Man’s Sky universe in gorgeous 4K. It’s not clear what will be introduced by NEXT, although the company tells EuroGamer that it’ll be free to existing owners, rather than a paid form of DLC. No Man’s Sky was a Greek tragedy of a game. The title, which offered an unbelievably expansive procedurally-generated universe to explore, fundamentally overpromised and underdelivered. It was hamstrung by its ambition, and its launch disappointed the many who’d eagerly awaited its release. 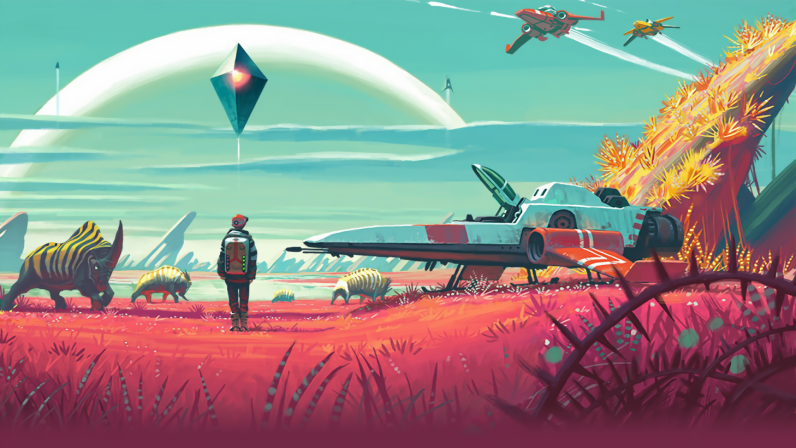 Hello Games, the game’s Guildford-based developer, has since addressed many of the criticisms it faced upon launch, and now No Man’s Sky is easily one of the most intriguing and compelling titles on the PC and PS4. It’ll be interesting to see how it’s received on Microsoft’s console.